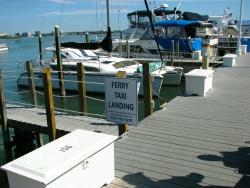 We utilized this service to ride from our hotel to Pier 60. Our driver was very informative on restaurants and things in the area. Great option to utilize for transporation if you prefer not to walk or drive. Used this service several times while in town for a Girl's trip. We were so pleased to have locals give us recommendations on restaurants, etc. I would highly recommend using this service BUT DON'T FORGET TO TIP the Drivers. They DEFINITELY deserve it. Dinner and drinks? Relax, with Florida Free Ride! 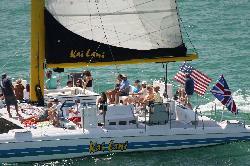 Going out for drinks, dinner or both is now more fun than ever on Clearwater Beach! We used to take cabs and we didn't mind paying the fare, we DID mind the looooong wait....No More! 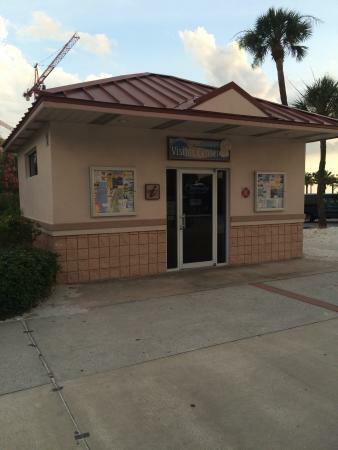 We now use Florida Free Ride, we are picked up within a few minutes of our call and whisked away to one of our favorite beach dining spots, when we are finished we are again picked up quickly and driven to our home. We leave a tip and even that is not required...Whoever came up with this idea is a genius, it takes DUI out of the picture and adds enjoyment for customers and dining spots alike! This is the best service we found in Clearwater Beach. The drivers are courteous, professional, and friendly. They will get you where you need to go on short notice and no charge. Just give a few dollars tip for a short ride relieves the anxiety of searching for a parking space when you need to be somewhere. Thank you for riding with us. We work very hard to make sure you get around town quickly and safely. Please call us for a ride anytime! I had used Florida Free Rides from Publix previously and it was great. 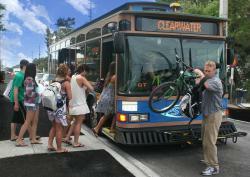 I inquired then about a potential ride from Downtown Clearwater back to Clearwater Beach. I was told it is a $10 fare. The next night I needed a ride since the ferry cut the hours on the night service and the trolley also shuts down after 10pm during the week.. I called and get in the car and the rate is now $12. It just gives me some doubts when the rates seem arbitrary. We are sorry for the confusion. 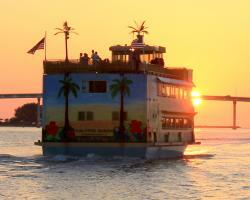 Our rates to downtown Clearwater vary depending on time and demand for our service. $10 is the usual rate. If you were charged $12 that means we were picking you up in a busier time. Usually $12 on weekends or during special events. Thank you for riding. We were in Clearwater for the jazz festival and the hotel where we stayed told us about this service. We used it to get to/from Coachman Park. We tended to have the same driver and he was very polite, safe and knowledgeable about the area. Having a service such as this makes it easier to get around and enjoy the area. This is influential to us for a return visit in the area. Smart move; great service! Thank you so much for your positive feedback. We love what we do and we look forward to having you ride with us in the future.